On the far eastern side of Russia, the Kamchatka Peninsula lies between the Sea of Okhotsk and the Pacific Ocean. Kamchatka opened to Western travelers in 1992 and is known as the mother of all wilderness fly fishing regions. There are an estimated 1000 potentially awesome trout, salmon and steelhead rivers in Kamchatka. Since the end of the Cold War, the fishing community has collectively explored about 30 of them. For minimal impact, the rugged Wilderness Float trip is only offered on a handful of northern rivers. Fishing on the Northern Wilderness Floats is a combination of mouse and streamer fishing, with the occasional rising fish on a classic dry fly. The rivers fished include a tributary of the Sedanka (called "Turusheva" or "Rassoshina"), three different forks of the Pirozhnikova, the lower Sedanka down to the Tigil, or the Kalgauch. Each river is rotated throughout the season and rested at least two or three weeks so that every river is floated at most two or three times in a season, guaranteeing a true, unimpacted wilderness experience. Rainbow trout are plentiful and aggressively attack mice, streamers, and will rise to dry flies whenever bugs are spotted drifting down current. Bows average 18 to 20 inches. Anglers can expect these rivers to have the best mousing overall. You’ll float and fish each day, typically exploring between 30 and 40 kilometers (18.6 and 24.9 miles) of river over the course of your five-day trip. Season: runs from late-July through September. July is the peak dry fly fishing time often heavy with the mayfly and caddis hatches. In August, the salmon enter the river. 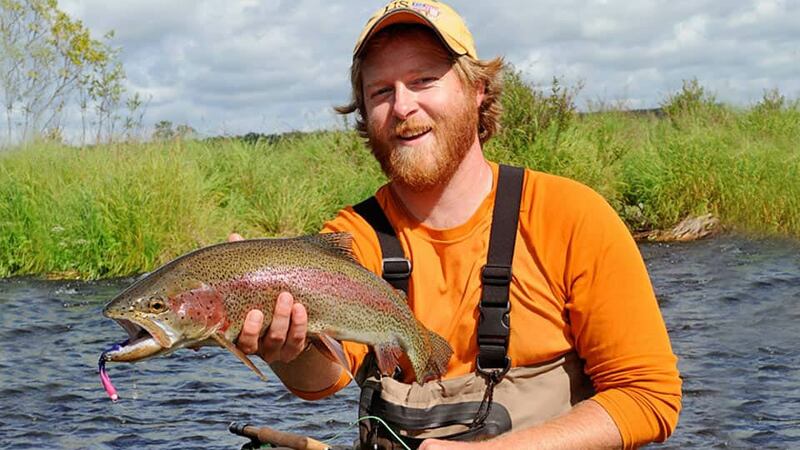 Target rainbows with mouse and streamer flies during the day, and dry fly fish in the evenings. 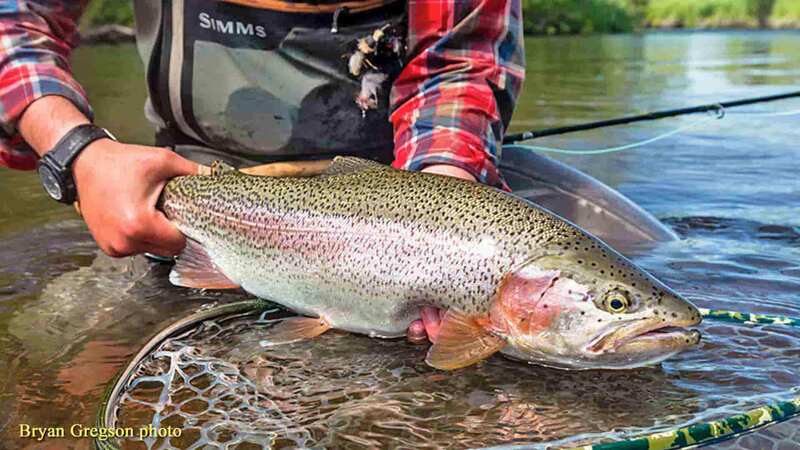 In September, trout are easily taken with surface skaters like mouse and floating baitfish patterns. Salmon are in full spawn in late August and September. 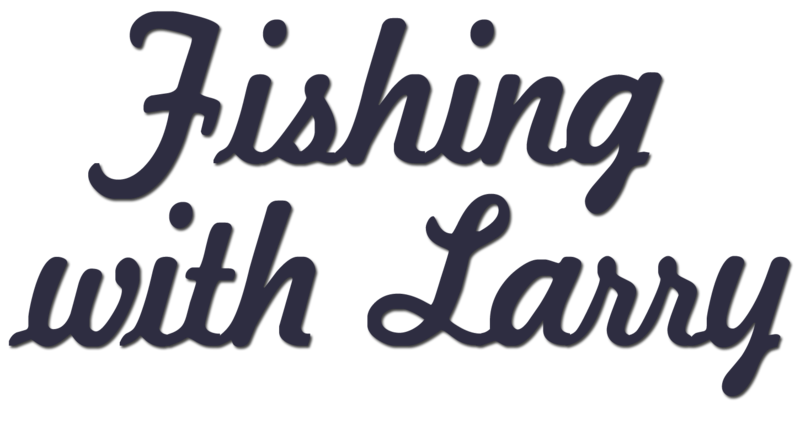 Fishing methods: Up to three fishing methods are employed—Mousing is the most prevalent. Dry flies and streamers can also be productive. 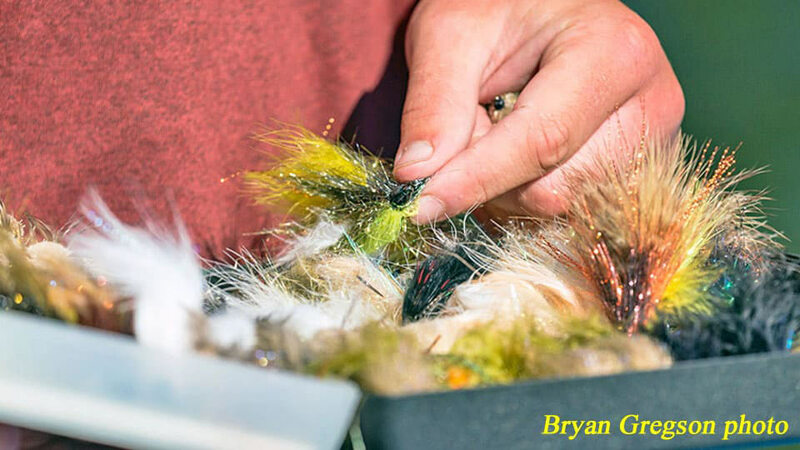 Use traditional floating lines and size #10-18 gray-bodied caddis and mayfly imitations with success on the Sedanka, especially in July and again in September. Rafts: Inflatable rafts are used solely for transportation. All fishing is done wading on foot. Two anglers per guide and raft. Guides: They employ a guide rotation system, so each group of two anglers spends two days with each guide. The staff consists of one North American head guide and two seasoned Russian guides. Fishing license: is not included in the package. $100.00 p.p. per week. Typical day on the River: The float trips are based on a loose daily schedule of breakfast at 8:00 a.m., followed by camp breakdown and getting on the river by 9:00 a.m. The angling days are long. The weather can range from warm and comfortable to cold and wet (be prepared for either). 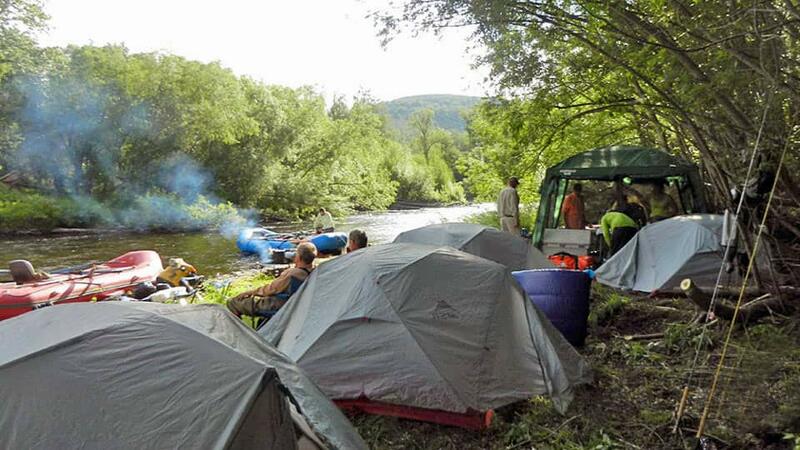 Each day is spent floating and fishing, stopping for lunch, and setting up a new camp each evening around 7:00 p.m. The after-angling campfire sessions always include traditional Russian toasts to the successes and most dramatic moments of the day. You'll arrive Sunday morning in Petropavlovsk. After customs and collecting your luggage, you'll be greeted by Camp representatives. The ground transfer crew will help load your gear onto the bus. 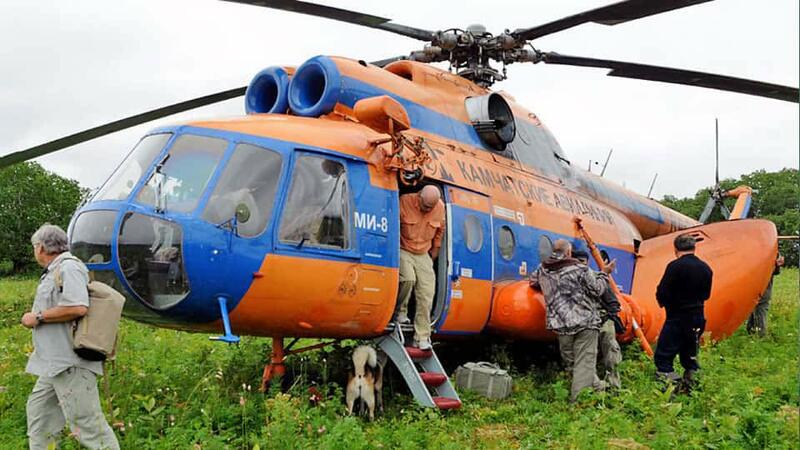 If the weather is clear to fly, you'll load your bags onto the Mi-8 helicopter and lift off. If the weather isn't clear, camp representatives may take you to buy souvenirs or to a restaurant. (Mornings in Petropavlovsk are frequently foggy.) The helicopter flight varies depending on which party gets dropped off first. (Sedanka or Wilderness floats.) After an hour and 15-minutes, there is a refueling stop. 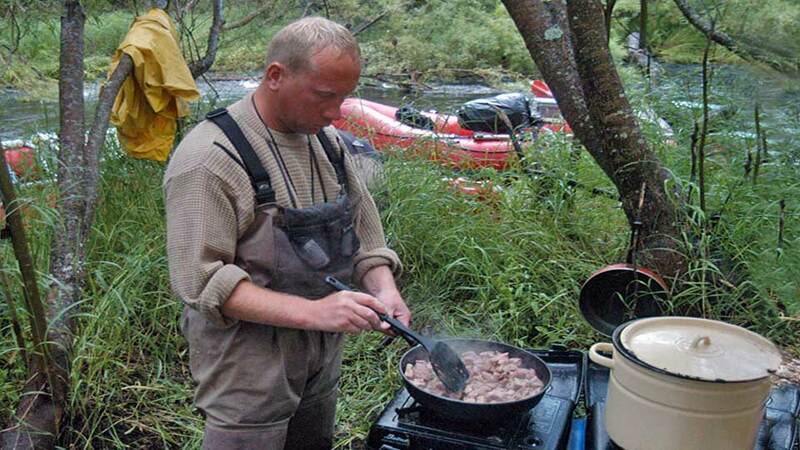 All ground and air transportation once in Kamchatka, all food at the camp, accommodations, and guided fishing. Airfare and travel expenses from your home to Kamchatka, the hotel and meals in Anchorage (approx. $200.00), Russian Visitor’s Visa, fishing gear, flies, fishing license ($100.00 p.p. per week), gratuities, medical evacuation insurance (required), alcohol, and anything not mentioned under inclusions. There is no surcharge to come alone. 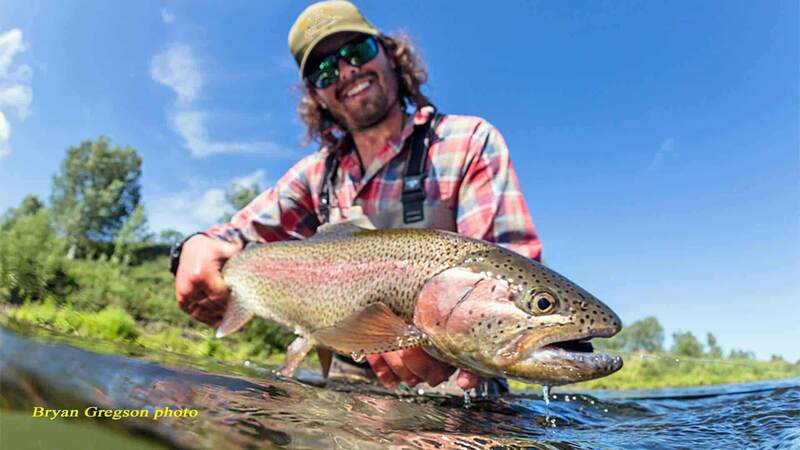 Kamchatka attracts adventurous single anglers. Many people opt for multiple-week trips. 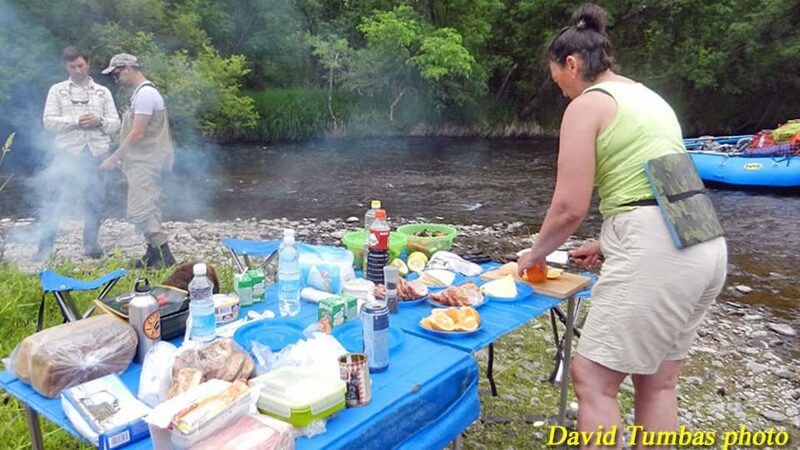 The Wilderness Float Trips can easily be combined with the Sedanka Spring Creek Camps at significant savings. 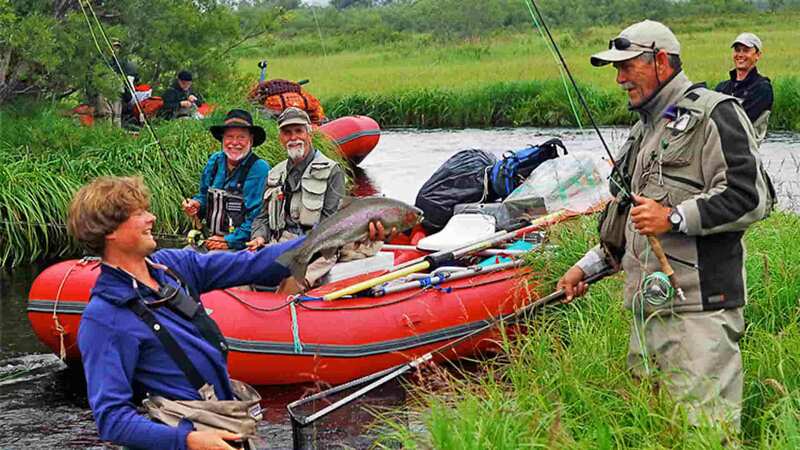 Package includes: All ground and air transportation once in Kamchatka, air transportation from the Zhupanova to the Sedanka, all food at camp, accommodations at the camps (on the Zhupanova and the Sedanka), and guided fishing. Package does not include: Airfare and travel expenses from your home to Kamchatka, the hotel and meals in Anchorage (approx. $200.00), Russian Visitor’s Visa, fishing gear, flies, fishing license ($100.00 p.p. per week), gratuities, medical evacuation insurance (required), alcohol, and anything not mentioned under inclusions.